Jurrungu Ngan-ga will delve into the psychology of Australia’s ‘fear of the other’. Jurrungu Ngan-ga means straight talk in Yawuru. Originally a kinship term, Yawuru cultural leader Patrick Dodson and Marrugeku’s Co-Artistic director Dalisa Pigram see Jurrungu Ngan-ga as the challenge of talking straight with each other, to ask the difficult questions about the issues that hold us back from reconciliation: black and white, tribe to tribe, settler and immigrant. The opportunities for misunderstanding are multiple. 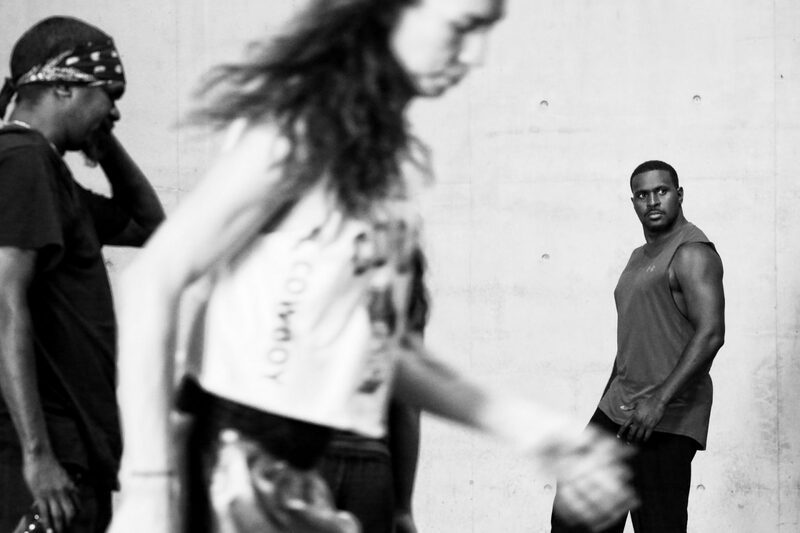 Fears will be embodied and expressed in Jurrungu Ngan-ga through Marrugeku’s distinctive intercultural choreography. Presented by Carriageworks and Marrugeku.